When social media was first introduced, it was very clear it would enhance our social lives and make communication easier. Fast forward to over a decade later, it’s proven to have fueled political movements, business growth and innovation. Social media is now an acceleration tool that any business or individual can use to spread a message. Social media automation emerged, where set processes can take place without repetitive and manual work. Most people operate this way, however elite businesses are understanding the opportunities behind automation. Not only is automation excellent for efficiency, it also makes sense when making a big impact to a targeted audience. This report doesn’t look at the technical aspect of social media automation but more so the strategy. It covers how to increase profit, productivity and further build your brand online. The first place to start is the organization of your online infrastructure. This doesn’t just look at social media but all of your online profiles, including email lists. You must organize your followership to further understand what kind of campaign and strategic messaging is required for each audience. 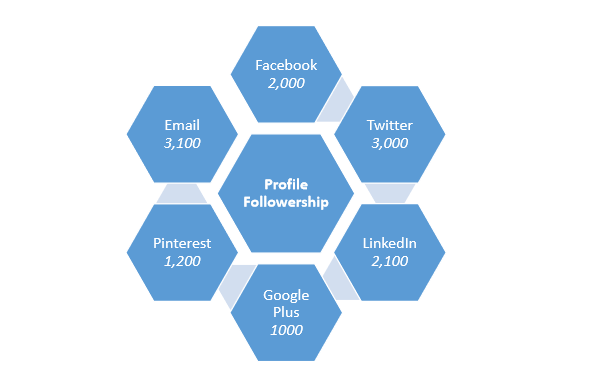 Once the profiles are consolidated, they’re ready to be implemented on a social media dashboard. This will give you a full 360 degree view of all your social media activity, allowing you to take prompt action. You can choose to design your campaign strategically and automate it in advance. This allows you to save time and think through all the content before it goes out. Scheduling content on a monthly basis saves you from looking at your content every week (or even worse every day). Then you can adjust the content with whatever product or service you’re campaigning for during those months. 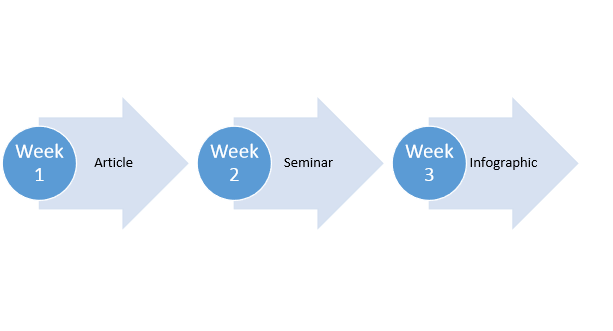 Not only does this make perfect sense, it allows you to plan your business plug and adopt a seamless sales process. Once you’ve put together a campaign that runs itself, you can always plug it in the future again. All you have to do is make sure the timing is right and understand how each social medium is used for whichever content needs to go out. When running campaigns, marketers need to look for the indicators of interest. These include clicks, retweets, forwards, shares, etc. Any action that demonstrates interest from your prospect is a reason to qualify them further. The more conversations you have, the better your sales rolodex performs. Consistent engagement from prospects will help you better rate them as leads; you can use a lead scoring system to define them as a prospect. There’s only so many people you can talk to which is exactly why you must create an automated process to spark conversations with potential buyers. With those that respond, you can further pursue the conversation and close the sale. The key here is to have an excellent starting script to get the highest amount of responses. Twitter is an excellent tool to make this happen, through which you can implement algorithms to start conversations with your followers. When you have an online brand, an online reputation comes with it. The brand image will depend on how well you treat your customers. Despite what they might say on the web, how prompt you are when responding will determine the perception of your followers. Addressing both positive and negative sentiment gives you the opportunity to build loyalty and retain followers. Having a system that tracks what is being said about your brand 24/7 can improve reputation and credibility. It’s also a fantastic way to manage customer service. All your online infrastructure has tracking that can be converted into data. All this data comes together in the form of reports. Through these reports you’re able to find insights that can help further grow your brand and business. You’re also able to spot new opportunities for leads and conversions. By understanding the behaviour of your prospects, you’ll be a step ahead of your competitors. In addition, you can collect valuable intelligence on your competitors by using the right software. You can watch their growth and understand the keywords their prospects are using. Finding and creating valuable content for your networks is always a challenging task. This content must be shared through social media and must be valuable to generate responses. Thankfully, this entire process can be automated by including the keywords your prospects use and the social media profiles they engage with. By understanding this, you’re able to share content that’s relevant to your direct prospect which can attract targeted followers.